West Nile surveillance activities have ended for the 2018 season. The Winnebago County Health Department will resume surveillance activities again in Spring 2019. West Nile Virus (WNV) is an infectious disease that first appeared in the United States in 1999 in the New York metropolitan area. It was first detected in Illinois in 2001, and positive cases of WNV have occured in Winnebago County regularly since 2001. It has become endemic in the U.S. and cases can be expected to occur yearly during the virus transmission season, typically between May and October. The Winnebago County Health Department investigages and monitors the mosqutio population throughout this season and samples mosquitoes and dead birds for the presence of West Nile Virus in the County. The WCHD also treats standing water in some areas to prevent moquito breeding. The WCHD has adopted the above Personal Protection Index from the Dupage County Health Department and the U.S. Centers for Disease Control and Prevention. The current risk level for Winnebago County is 0 - None. Winnebago County has experienced several days of below-freezing temperatures, ending the mosquito season (Last updated November 19, 2018). Further information regarding the Personal Protection Index can be found by downloading the informational sheet found here. Birds are susceptible to West Nile Virus and are often used as an indicator to help determine the prevalence of WNV in an area. The WCHD collects dead birds regularly throughout the WNV season and tests them for the virus. To report the location of a dead bird during the WNV season, please call the Dead Bird Hotline at (815)720-4245 or visit the On-Line Dead Bird Reporting System by clicking the link (CLOSED UNTIL SPRING 2019). Please provide all requested information including your contact information so that we may reach you if necessary. The WCHD greatly appreciates calls and reports of dead birds from our community. However, we service all of Winnebago County and occasionally time restraints and limited resources do not allow us to retrieve every dead bird. Please allow one business day for a call back and/or bird retrieval if we feel the bird is suitable for testing. The bird is dead and the carcass is in good condition. 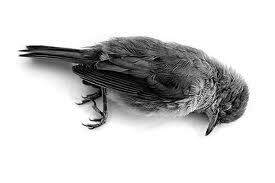 Birds should be dead no more than approximately 48 hours prior to collection and should show no signs of advanced decomposistion (maggots, strong odor, dried or deflated eyes). The bird shows no sign it died of causes other than disease. Birds with obvious injuries, such as wounds or missing parts, should not be submitted for testing. Likewise, crushed carcasses and birds found along roadways are not acceptable for testing. Birds infected with West Nile are most always found alone and not in groups. The bird must be of an acceptable species. Some acceptable species are crows, blue jays, starlings, grackles, robins, cardinals, sparrows, finches, warblers, hawks, and owls. Birds that will not be accepted incldue pigeons, ducks, geese, chickens, other large birds, or endangered species. Click here to see pictures to help with identification of common birds. If you find a bird that meets the above criteria, please call the WCHD's Dead Bird Hotline at (815)720-4245 or visit the On-Line Dead Bird Reporting System. If you find a dead bird that does not meet the critera above or the we are not able to retrieve it, the WCHD recommends disposing of the bird. Avoid bare-handed contact when handling dead birds or any other dead animal. Use gloves or double plastic bags to pick up the birds, wrap them in a plastic bag, and dispose of them in a garbage can. The best way to prevent West Nile Virus or any other mosquito-borne illness is to reduce the number of mosquitoes around your home and to take personal precautions to avoid mosquito bites. Precautions include the "Three R's" -- Reduce, Repel, and Report. Make sure doors and windows have tight-fitting screens to prevent mosquitoes from getting inside your house. Repair or replace screens that have tears or other openings. Try to keep doors and windows shut, especially at night. Mosquitoes need water to breed. They can develop into adults in as little as a week. Make sure that items like bird baths, buckets, wheelbarrows, flower pots, and other containers are dumped every 1 to 2 days if appropriate. Cover unused swimming pools and turn over kiddie pools when not in use. Be sure to keep swimming pool covers clear of leaves and water. Remove leaves and other debris that can clog gutters and trap water. Mosquitoes love to lay their eggs in old tires. It is important for residents to remove used tires from their property and dispose of them acording to EPA standards. Not only is proper tire disposal great for the environment, it decreases mosquito breeding sites around your home. When outdoors, wear shoes and socks, long pants, and a long-sleeved shirt. Apply insect repellant containing 25-30% DEET, picaridin, oil of lemon eucalyptus, or IR 3535, according to label instructions. Apply sparingly to exposed skin or clothing, as indicated on the repellant label. For children, use repellants containing 10% or less of DEET. Do not let children apply repellant to themselves. Consult a physician before using repellants on infants. Every WNV season, the Winnebago County Health Department offers a phone line for residents to report the location of recently expired birds. The Dead Bird Hotline number is (815)720-4245 . Residents can also report the location of dead birds through the On-Line Dead Bird Reporting System. The WNV Information Line is also available to residents who would like general information about the current West Nile Virus status in our community. The information line number is (815)720-4240 . Download the WCHD's Fight the Bite flyer! 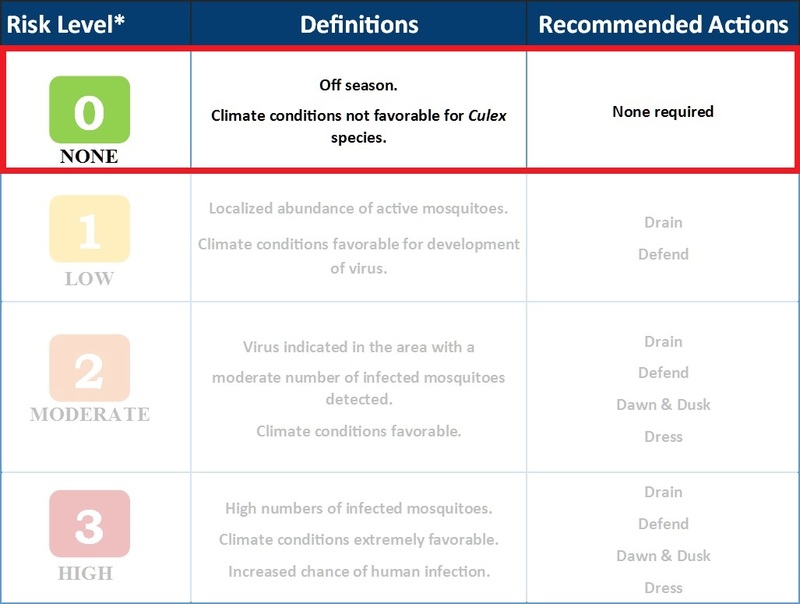 The time of year when mosquitoes are most active and most likely to carry the disease is between the months of July and September, but if the weather remains warm, the risk period can extend as late as November. The mosquito, specifically the Culex species, are known for spreading WNV. This particular species of mosquito thrives when temperatures are high and precipitation is low. Individuals with healthy immune systems (approximately 80% of the public) who are bitten by an infected mosquito will usually not develop any symptoms of WNV. 1 in 5 individuals who are infected may develop mild flu-like symptoms including fever, headache, body aches, joint pains, vomiting, diarrhea, or rash. Most people recover completely, but fatigue and weakness may last for weeks or even months in some individuals. Elderly individuals or people with weakened immune systems are more likely to become seriously ill from West Nile Virus. They are at a higher risk of developing more severe diseases, such as encephalitis or meningitis, if infected. A vaccine for West Nile Virus in humans does not yet exist. Human infection is most often the result of bites from infected mosquitoes. 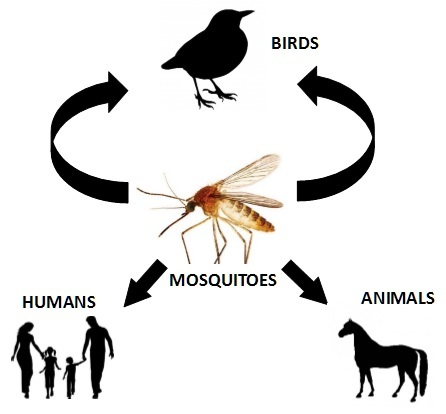 Mosquitoes become infected when they feed on infected birds, which circulate the virus in their blood for a few days. The virus eventually gets into the mosquito's salivary glands. During later blood meals (when the mosquitoes bite), the virus may be injected into humans and animals, where it can multiply and cause illness. The Winnebago County Health Department investigates and monitors the mosquito population annually during the months of May through October. 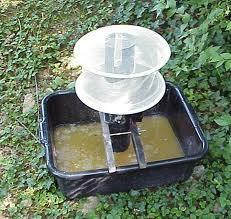 A device known as a Gravid Trap is used to collect mosquito samples for West Nile Virus testing (see picture below). Female mosquitoes are attracted to organic material mixed with the water in the trap and will fly in to lay their eggs. A fan apparatus forces them up through the tube and into the net, where they are then collected for testing. Traps are strategically placed in areas that tested positive for WNV in previous seasons and/or where WNV-positive birds have been found. West Nile Virus Program Archive Page - View data, press releases, and other information from past West Nile Virus Program seasons.